Take extreme care to prevent any scratches, nicks or damage to the camshafts and caps bearing surfaces. Remove the timing belt rear cover (1). 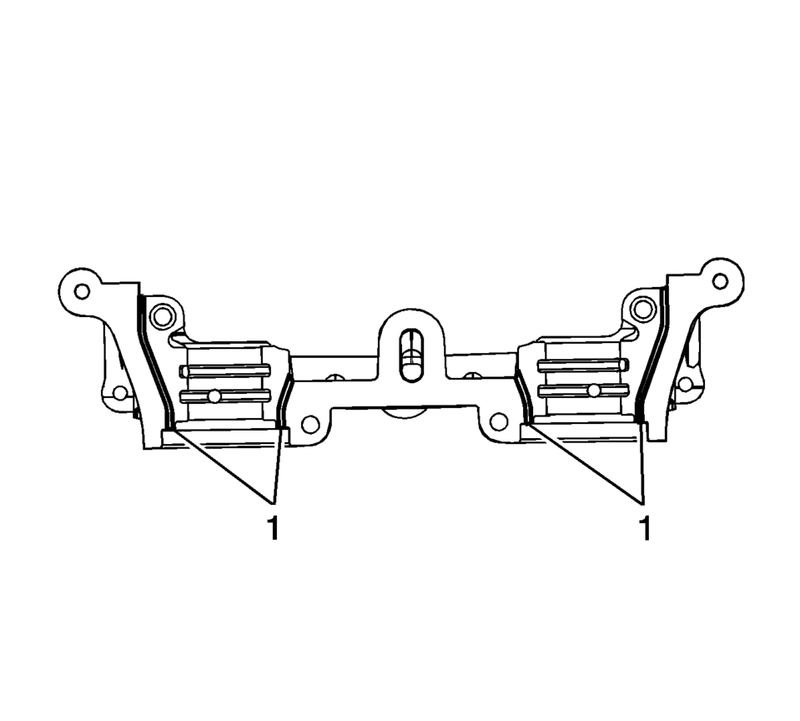 Refer to Timing Belt Rear Cover Replacement. 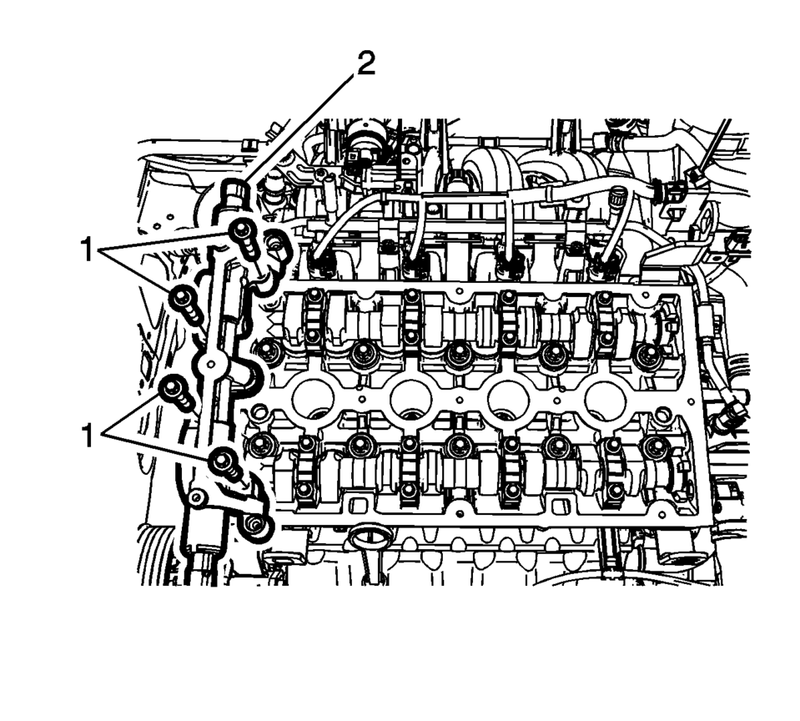 Remove the camshaft position solenoid valve housing bolts (1) and housing (2). 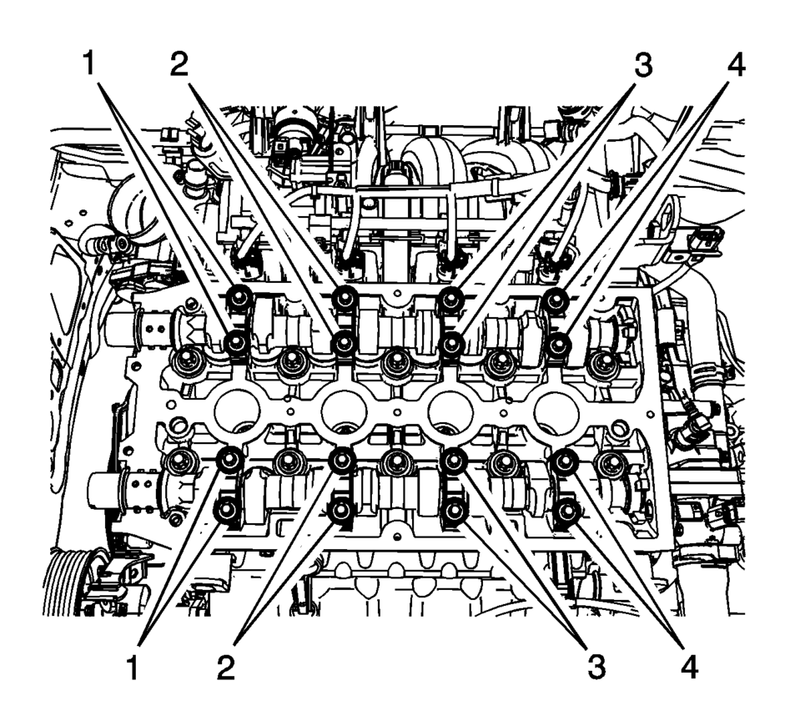 Remove the camshaft cap bolts in sequence (1, 4, 2, 3). Mark the camshafts upon removal to ensure installation is in the correct position. 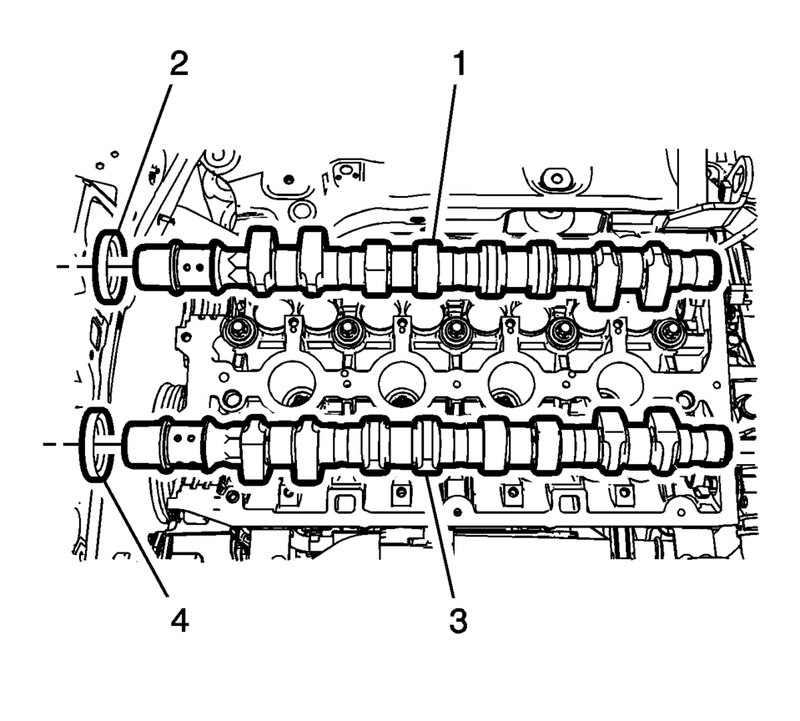 Remove the exhaust camshaft (1) and intake camshaft (3) as necessary. 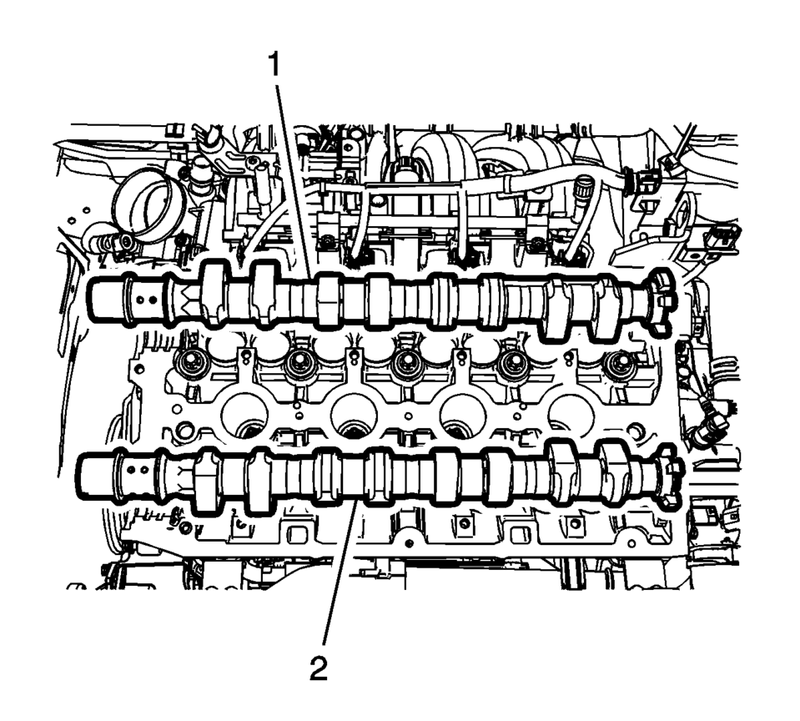 The camshaft seal MUST be replaced whenever the camshaft is removed. 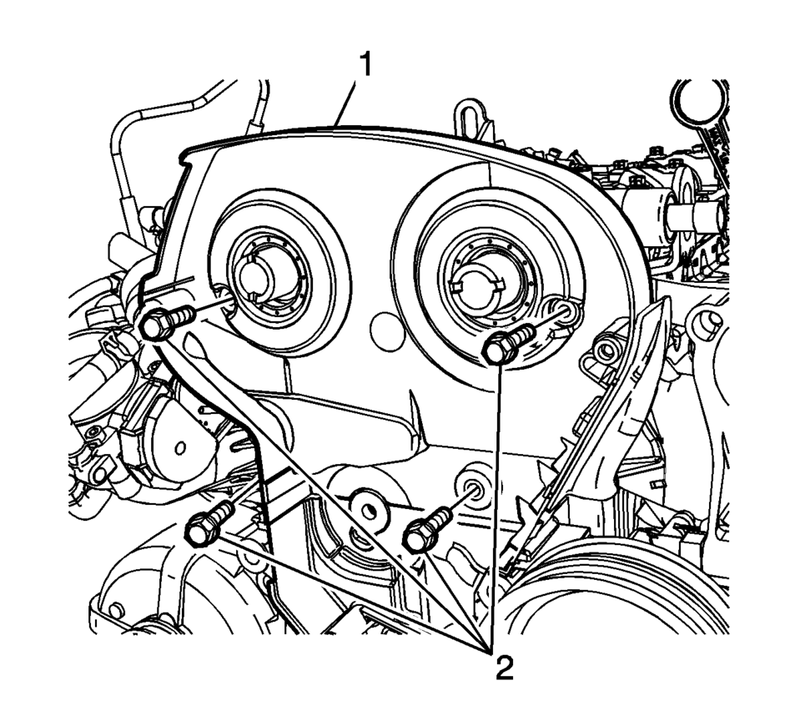 Remove exhaust camshaft seal (2) and intake camshaft seal (4) as necessary. Coat and lubricate the camshaft bearing and cam surfaces with clean engine oil. It is essential to ensure that no sealant is applied outside the marked sealing areas. Apply sealant to the surface (1) of the 1st camshaft bearing cap. Install the exhaust camshaft (1) and intake camshaft (2) on the cylinder head. Install the new camshaft oil seal rings using EN-422 installer .
. Refer to Timing Belt Rear Cover Replacement.